Arkday Kolcheck asked Callen for help on tonight’s all-new episode of “NCIS: LA” because he believed Vladlena Sokolov was in trouble. Vladlena Sokolov ran a gambling club in town. She was known to all the serious players like Arkady and so Arkady had turned to her when NCIS needed help in locating her brother, Abram. Abram Sokolov was using an investment bank to launder money and at one point in time, he was using some of that money to arm rebels in foreign countries until NCIS found out what he was doing. They realized he was about to make another shipment of weapons and had gotten Vladlena to give up her brother before he could even make that shipment. She told them where they could find him and that gave them the head start they needed to stage a scene. They made it look like someone wanted to put Abram out of business and, he had been in such a hurry to leave town, he made mistakes. Abram had been so busy running to save his own skin that he didn’t notice that a bug had been planted on him. That bug they planted on Abram had helped the team to keep tabs on him and ensure he was no longer a problem. 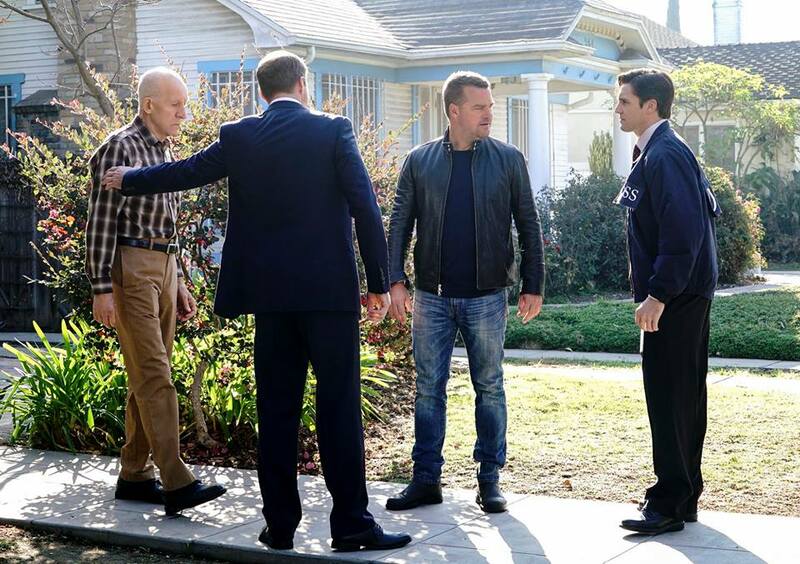 The team believed they knew each step that Abram made and so Callen didn’t understand why Arkady came to him believing Abram was back in town. He said that couldn’t be the case because the last sight NCIS had of Abram was when he was in Moldova and since then he was reportedly spotted in London yet Arkady was sure that Abram was back because he knew something was up with Vladlena. She had texted him “I need you” and Arkady told Callen that must mean she was in trouble because she would never have sent him a message like that. Arkady promised that the text wasn’t a booty-call and had said that he had tried checking things out on his own. He had gone to the gambling club and had waited there all night to see her except he never did. He said she never showed at the club which was unlike her and so he said her brother must be back in town because he was the only one that would hurt Vladlena. Vladlena had betrayed her brother and her brother could want revenge for that, but Callen needed to find much better proof than a text message that Abram was back and so he called in Mosley. Mosley was the only one he needed to sign off all intel-digging and she was glad to sing that over as long as Arkady didn’t pull a stunt like he did a few weeks ago. Arkady had swung by the boathouse a few weeks ago when he was drunk and security cameras had caught him making a scene. He had tried to sing “Betty Davis Eyes” with Betty replaced by Hetty and it had been really bad. It was an impression that stuck for Mosley and so Mosley was willing to do anything to get rid of him. She signed off all NCIS resourmces that Callen would need to look for Abram and had put a team on Leigha Winters. Winters had been the investment banker that Abram had threatened into assisting him with laundering cash and she had also helped NCIS to put an end to the whole scheme. That’s why they believe she might be in danger if Arkady was right and Abram really was back in town. Only Mosley had taken them all by surprise when she assigned Eric for undercover work. He was supposed to go in as a tech supervisor at Winters’s company in order to keep a better eye on her and, well, Eric was sometimes his own worst enemy. He was so happy to be assigned undercover work that he just had to tell everyone and then be warned that telling people about going undercover therefore made going undercover redundant. Eric eventually got around to it and he had done his part. He went to the company and had kept eyes on a very jumpy Winters. She hadn’t been the same since that incident with Abram and so she had cut herself off from everything as well as everyone. The people at work had all sensed that something was wrong with her and she hadn’t fazed them at all when she stormed outside just to be outside. It had thrown Eric because he had lost sight of her and he was later grateful when Hidoko told him that she still had eyes on Winters. Winters was having a slight breakdown outside and so Eric had decided to tell her everything. He told her that he was NCIS and that another team was arriving to take her to safety meanwhile the others had found Vladlena. She had been beaten quite badly and had told them that her brother broke her. She told him everything about NCIS and Winters. Vladlena told them that she was sorry and they told her she didn’t need to be. Anyone could have broken under the circumstances and the last the team saw her was when they put her in the ambulance with Arkady. Arkady had wanted to go with her and the two were catching up when Abram stopped the ambulance in root. He had wanted to get his hands on Arkady because he realized how important Arkady was to not only NCIS, but his daughter Anna the ATF agent. Anna and her partner Gary had been working case tracing a missing shipment of alcohol and cigarettes and they both knew that in certain parts the shipment of American products could be worth more than American dollars, so Anna and her partner were later pulled into an investigation on Abram. Abram saw this and that’s why he kidnapped Arkady. He called Anna on Arkady’s phone and told her that he wanted Winters in exchange for her father though the team thought that was fine because they could stake out the scene for this exchange and so they fell for the ploy. They went to the scene and didn’t realize Abram wasn’t going to show until it was almost too late. He wanted them to bring Winters to a separate venue because he was going to break into her investment bank and demand they transfer over the money he would need to buy the stolen shipment. Luckily, the team did see that he wasn’t going to show and so they warned Eric and Hidoko. The two cleared the building and so only Eric was left when Abram showed up. Abram thought Eric was just an IT guy and had put a gun to Eric’s head to get him the money. So Eric was pretended to go along with them when he was getting on the computer when really he was waiting for backup and they did arrive to stop the transfer. Eric and the others took down most of Abram’s men and Abram had made a run for it only Anna found him. She caught him out back and had made him get on his knees yet she hadn’t arrested him. She had gone ahead and killed him, so she was going to have a hard time to explain that away because he didn’t have a gun on him when she killed him.